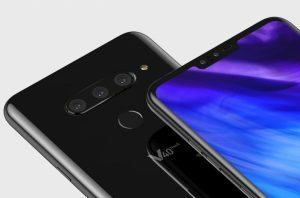 Someone would inevitably do this, and the LG V40 ThinQ is the first phone with both an ultra wide-angle camera and a telephoto end camera on the back. 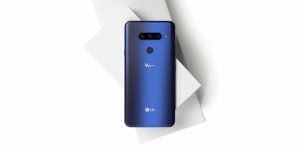 The LG V40 ThinQ is the first phone to integrate five outrageous cameras into one device to give you more shooting options, even if you think you already have enough choice of photos. It’s also the perfect metaphor for LG’s ambitions in a smartphone market dominated by Apple, Samsung, Huawei, and a few others. This is another option, whether you think you need it or not. You can take close-ups, standard shots and wide-angle shots for which LG phones are famous. He can even break them all at once and then assemble a GIF. LG has not announced pricing or availability yet, but we need to take a look at the phone. The V40 retains most of the things we love about the LG G7, like a sleek glass front and back, polished metal sides and a slim, lightweight body. At 5.96 ounces, it weighs much less than similar-sized phablets like the Samsung Galaxy Note 9 and the iPhone XS Max. From the point of view of looks, the V40 ThinQ is almost a V30 (ThinQ or other) with an additional camera at the front and back and a screen, even if we simplify things a little. Of course, the camera layout is horizontal now, but still, the family ties are obvious. The trio of cameras under a common glass seems reasonable – Samsung, for example, is still struggling to make its dual camera configurations attractive from a distance, although it is true that many additional sensors are present, as well as a flash. 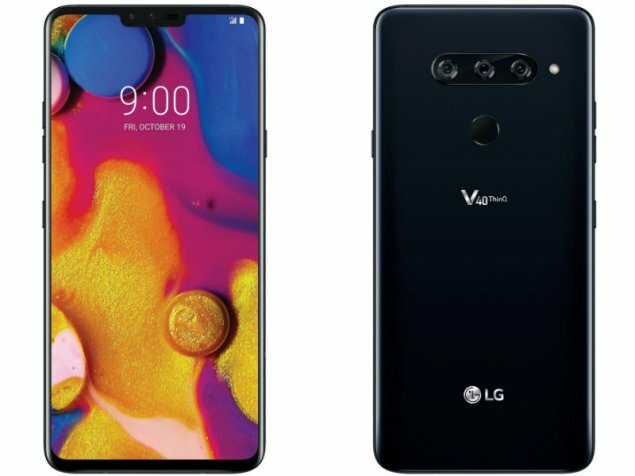 Well, LG has not found a place for the V40 flash, so it’s outside the camera island. Even in this case, we do not think that the V30’s flash/laser focus hole was a source of visual pollution. 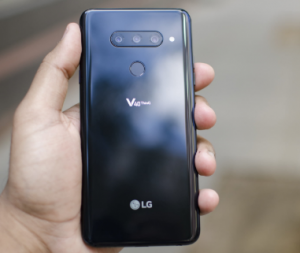 The fingerprint sensor is the usual circle under the cameras, a position that LG has stuck in one way or another since the introduction of biometric recognition on the V10 a few generations ago. The V40’s 6.4-inch screen size is similar to Samsung’s Note 9, but the notch at the top and the small bezel at the bottom give the V40 a slightly smaller footprint than the huge Samsung. The phone itself is also lighter than the Note 9 or the iPhone XS Max, making it easier to handle all day long. Like the Samsung, this screen is an OLED panel, so it has rich colors, deep blacks, and excellent viewing angles. It’s way better than the V30 OLED screen and I have no complaints about it. Wait, where is the notch of the V40, we hear you ask. It’s there, but you can choose to hide it in the settings (which we obviously did). You can also change the radius to round the corners and even highlight the status bar with a rainbow effect – the G7 has treated its notch in the same way. 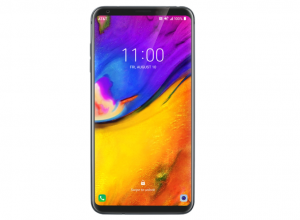 We continue to call it a notch, but LG likes the name “Second Screen” – to remind us that it was LG who first filled the top screen with the V10’s screen before it was cool. LG’s new five-camera system on the V40 makes it the most versatile camera LG has ever produced. The three main cameras are at the rear: a standard 12-megapixel lens with f / 1.5 aperture and optical image stabilization; a 16-megapixel wide-angle lens with an aperture of f / 1.9; and a 12-megapixel telephoto lens offering 2x optical zoom with f / 2.4 aperture. The ability to take a picture closer, exchange a larger photo or stick to the standard lens immediately makes this camera fun to play creatively. For example: in low light, the standard lens is quite capable, offering pictures that can match the iPhone XS or even the Galaxy Note 9. Switch to the telephoto or wide angle lens and the quality of the image is degrading. The photos are more nuanced, the white balance is a mess and it just makes us want to not use both devices in these lighting conditions. What’s nice is that if you hold down one of the three buttons to swap the lenses, you get a preview of the look of your photo from the three devices in real time. There is also a new feature called Triple Shot. It takes three consecutive photos with the three lenses, which is very handy because you can easily get three different perspectives at the touch of a button. This does not happen immediately, however; Triple Shot takes about three seconds. 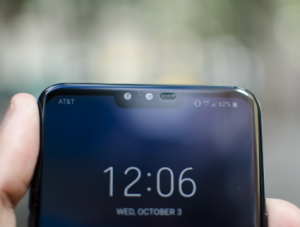 The V40 ThinQ, just like the G7, has a non-Bixby button on the left side. It’s not Bixby because LG does not insist on forcing you to use an internal wizard but uses the hardware key for quick access to Google’s native features: only one press displays your Google feed, continuous pressure calls Google Assistant, and a double pressure starts Google Lens. The volume controls are located above this extra button, while the power button is on the opposite side. The V40 recharges via the USB-C port at the bottom and comes with a fast charger. Another thing you’ll find in the box is a pair of wired headphones that connect via a standard 3.5mm jack – because the V40 still has a headphone jack. With the only 169g, the LG ThinQ V40 would be an excellent choice for those who value portability – it’s 32g lighter than the Galaxy Note9 and 20g lighter than the S9 +. LG has added one of the G7’s features to the V40: the Boombox speaker. This is not an easy task, because it is necessary to completely change the way the interns of the phone are organized. It’s just a single speaker, but the entire phone acts as a sounding room, which allows you to extract incredibly loud sound with decent bass sounds that sound good. This means that you can feel the vibrations of the phone while listening to music or watching a video, but that will not tell you too much. The audio quality is always impressive. We played outdoor music at the park and we managed to get by in the middle of all the noises. It’s a decent alternative to carrying a Bluetooth speaker, but you’ll probably want one if you want to be sure to hear the V40 in noisy environments like parties. LG has upgraded the battery capacity of the V40 – this is a 3300 mAh cell that ensures reliable battery life all day long. It’s not nearly as big as Note 9’s battery, but the V40’s life is considerably longer than that of the G7. I had five to six hours of screen time between charges, which is exactly what I can usually do with a phone of this size. The battery life is satisfactory, but we would really like to see LG push the envelope here and try to add a bigger battery so we can get the phone through the next day without having to worry about charging it. Wireless charging is available, as well as support for Qualcomm’s Quick Charge 3.0 Quick Charge technology. We plugged our device at 13:32 with 22% remaining and 100% at 3:00. That’s about all you need to know about the V40 ThinQ. The LG V40 ThinQ is not inspiring, but it has a fun and creative camera, as well as many of the fundamentals that make it a good phone. Considering we’ve seen three other LG flagship phones this year, we would have liked to see more improvements happen faster, such as a larger image sensor for the wide-angle camera for better low light pictures, a bigger battery, a wider front camera, and more. It’s also the lightest flagship smartphone ever designed at this size. 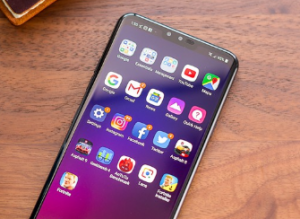 It’s hard to believe that the LG V40 has a 6.4-inch OLED display and an all-glass design. It looks like an iPhone XS Max, of course, but weighs a lot less. Of course, such a lightweight phone has disadvantages. The battery is the most important compromise, with a capacity of 3300 mAh lower than necessary and derisory compared to the Galaxy Note 9, which offers a battery life of 4000 mAh.